What is a vaccine, and how do vaccines work? 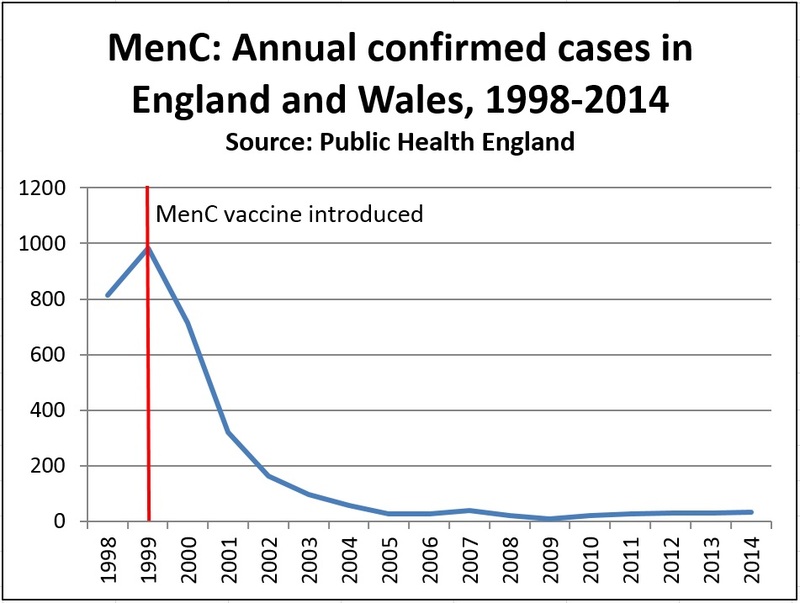 The single MenC vaccine was in the routine UK immunisation schedule from 1999 until July 2016. This vaccine gives protection against meningococcal disease (a major cause of meningitis) caused by group C Neisseria meningitidis bacteria. Babies and children are still protected against MenC disease through the Hib/MenC vaccine and the MenACWY vaccine, but the single MenC vaccine is no longer routinely used in the UK. The MenC vaccination programme was introduced in the UK in 1999 and quickly led to a dramatic fall in the numbers of cases of MenC disease. Meningococcal bacteria are commonly carried in the back of the throat and passed around from person to person, but the vaccine prevents carriage of MenC bacteria. This means that even people who are not vaccinated are protected by herd immunity. Currently there are almost no cases of MenC disease in infants or young children in the UK. Before vaccination, there were nearly 1000 cases a year and 70-80 deaths a year. 1999: MenC vaccination was introduced for babies, with a catch-up for children aged up to 5 years. A first dose was given at 3 months of age, with further doses at 4 months and 12-13 months. 2006: the MenC booster dose given at 12-13 months was combined with a Hib booster vaccine (the Hib/MenC vaccine, which is still in the UK schedule). June 2013: the MenC dose at 4 months was dropped from the schedule. By this time levels of MenC disease had fallen very significantly, and studies showed that a single dose at 3 months provided good levels of protection against group C meningococcal disease during the first year of life. September 2013 onwards: a MenC booster dose was introduced for teenagers aged 13-14. The aim was to boost protection against MenC disease for individuals, and also to maintain high levels of herd immunity. Summer of 2014: all those starting university were recommended to receive the MenC vaccine. It was likely that young people born between 1995 and 1999 would have been vaccinated as young children during the MenC catch-up programme in 1999 and 2000. However, they would have missed out on the new booster dose introduced in 2013. 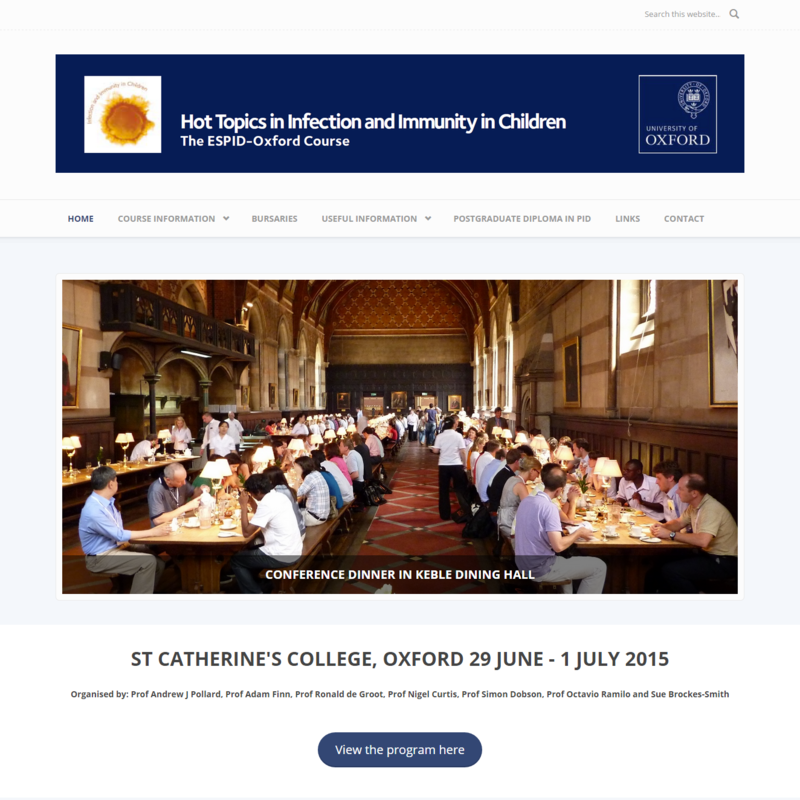 Summer of 2015: the single MenC dose for teenagers and new university students was replaced by a combination vaccine, the MenACWY vaccine, which offered protection against four strains of meningococcal disease including type C. It was introduced because of a significant increase in cases of MenW disease in the UK. 1st July 2016: the single MenC dose given at 3 months was dropped from the schedule. This was because levels of MenC disease were now so low that babies under 1 year of age were well protected by herd immunity. MenC vaccines licensed in the UK included NeisVac-C and Menjugate. There are other types of meningococcal disease which can also be vaccinated against. See information on the MenB vaccine and the MenACWY vaccine. The MenC vaccine is inactivated, and cannot cause the disease itself. It is a conjugate vaccine. Sugars are taken from the capsule around the MenC bacteria and joined to a non-toxic protein from tetanus. The protein helps to stimulate the immune system in a broader way to respond well to the vaccine. This gives a better immune response in individuals of all ages. It contains a small amount of aluminium which strengthens and lengthens the immune response to the vaccine. See more information on aluminium in vaccines. It also contains a small amount of sodium chloride (salt). Other brands of MenC vaccine used in other countries may contain different ingredients. If you are not in the UK, ask for the Patient Information leaflet for the vaccine you are offered. Many of these symptoms can be relieved by giving paracetamol (Calpol)if your child is over 2 months, or ibuprofen if your child is over 3 months and weighs more than 5kg (see NHS Choices for more advice on giving painkillers to babies and children). You should consult your doctor if these reactions happen after vaccination. This is mainly to check that it is the vaccine causing the symptoms, and not some unrelated disease. Symptoms such as fits can be very worrying for parents, but there is no evidence of long-term effects. Children can normally safely receive vaccines in the future. As with any vaccine, medicine or food, there is a very small chance of a severe allergic reaction (anaphylaxis). Anaphylaxis is different from less severe allergic reactions because it causes life-threatening breathing and/or circulation problems. It is always serious but can be treated with adrenaline. In the UK between 1997 and 2003 there were a total of 130 reports of anaphylaxis following ALL immunisations, but all of these people survived. Around 117 million doses of vaccines were given in the UK during this period, making the overall rate around 1 in 900,000. Depending on the cause of the reaction, and following expert guidance, the person may be able to have vaccinations in the future. Reactions listed under ‘possible side effects’ or ‘adverse events’ on vaccine product information sheets may not all be directly linked to the vaccine. See Vaccine side effects and adverse reactions for more information on why this is the case. See more information on the monitoring of vaccine safety. Following introduction of the MenC vaccine in 1999, the number of cases of meningococcal disease caused by group C bacteria fell by over 90% in vaccinated groups. In 1998-99, the year before the vaccine was introduced, 78 children under 18 died from MenC disease in the UK. In 2011-12, only 2 children under 18 died from MenC disease in the UK. 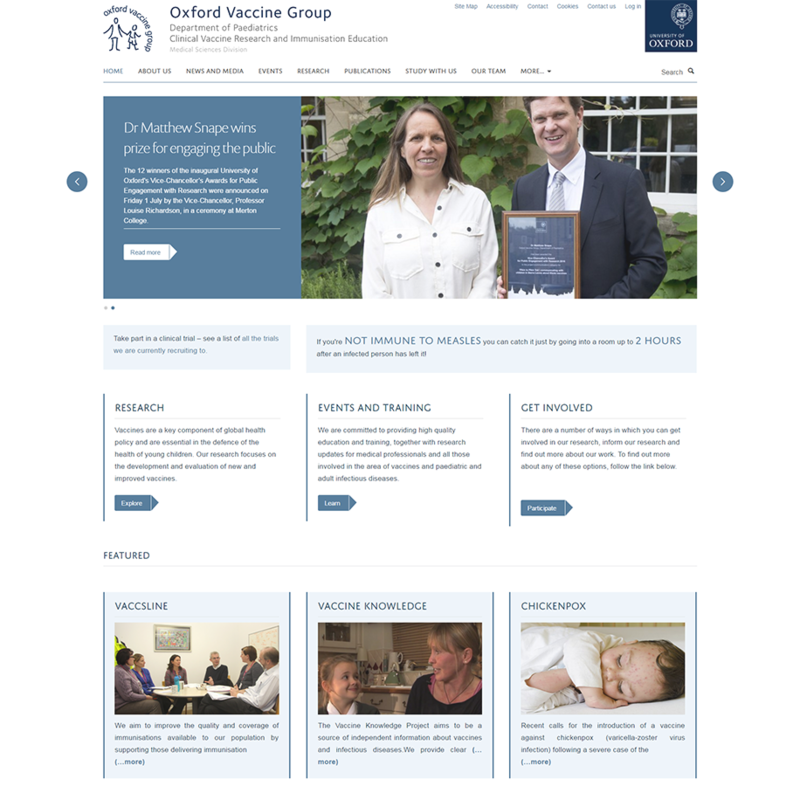 Centre for Clinical Vaccinology and Tropical Medicine, Churchill Hospital, University of Oxford, OX3 7LE. Medical content reviewed by Professor Andrew Pollard. 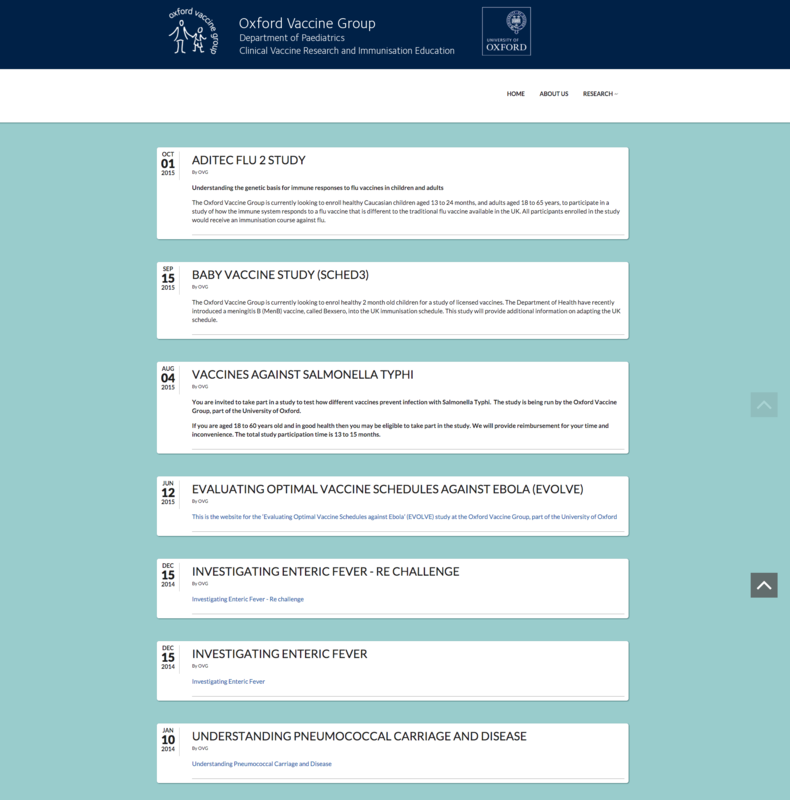 Please click here to contact us if you have comments about the Vaccine Knowledge website. We can’t answer all the individual queries we get, but we will use your suggestions and questions to improve the website. You should consult your doctor or other healthcare provider if you need specific advice on vaccines for you or your child. 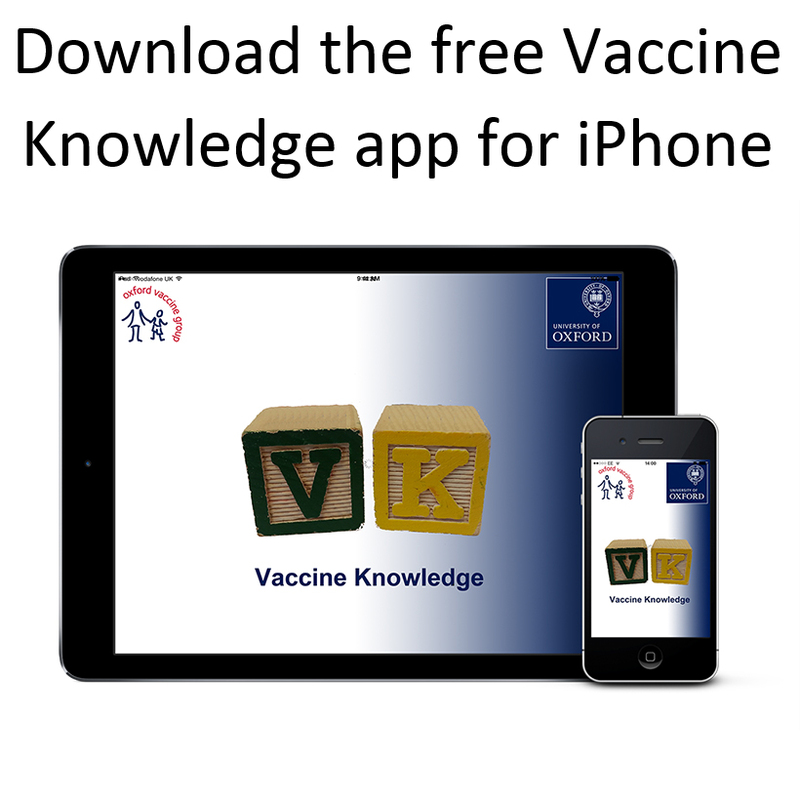 The Vaccine Knowledge Project is funded by the NIHR Oxford Biomedical Research Centre and the Oxford Martin School.